FireCatt is a wholly owned private company dedicated to serving the testing needs of fire departments, governmental agencies and industrial companies throughout the country. Based in Troy, Michigan, FireCatt uses patented technology to provide precision service testing for fire hose, ground ladders, nozzles, and appliances, helping keep fire departments, agencies and industrial companies safe from injury and liability. Savas teamed up with leading hose manufacturer Snap-Tite to develop this breakthrough technology. A Snap-Tite board member at the time, Savas also solicited the expertise of engineers, firefighters and industry experts. The end result is FireCatt’s patented state of the art technology, which has revolutionized fire equipment testing and is now considered the gold standard in the industry. Today, while others are still using stopwatches, needle gauges and hand-stenciling numbers on hoses, trained FireCatt technicians are in Mobile Test Labs using the only computerized, automated and objective hose testing technology in the nation, along with a unique barcoding system to track and document performance. Proven, patented and fire chief approved, FireCatt is now a technology leader and precision authority in fire equipment testing. Zachary Savas is founder and co-owner of FireCatt. A financial expert, entrepreneur and patent creator, Savas began his career in 1985 with Citicorp Mergers and Acquisitions. Since that time, he has been fortunate to have a diverse experience in a number of industries from manufacturing to information technology to financial services. He has served as a member of the board of directors for hose manufacturing leader Snap-Tite (2002-2010), Tecumseh Products Company (2009-2014) and was part owner and president of Andover Industries (1996-2000), a tier 1 manufacturer to the automotive industry. Today, Savas also owns and operates Cranbrook Partners & Co. and creates value for employees, customers and all stakeholders through the active ownership of private business. 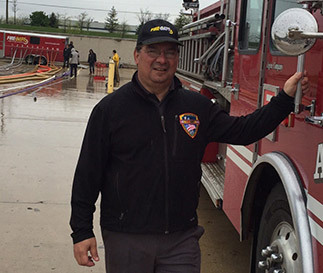 Someone who has long respected firefighters and what they do for our communities, Savas is the driving force behind FireCatt’s patented testing technology and continued growth as a leading authority in precision fire equipment testing. Savas graduated with honors from the University of Michigan, School of Business Administration (B.B.A.). He is a member of the YPO, sits on the board of St. George Greek Orthodox Church and co-chaired the Capital Campaign for The Roeper School. He is married with three children. Marc Radecky is president and co-owner of FireCatt. A self-starter, business owner and man dedicated to quality and customer service for his entire career, Radecky was part owner and vice president of tier 2 automotive supplier X-Cel Industries (1987-2004), growing the company 20 times during his 17 years. In 2004, he founded his own automotive company, Specular, to focus on short run painting and assembly. In 2008, Radecky joined the FireCatt team and quickly took on a sales leadership role, increasing FireCatt’s client base in Michigan and other markets. In 2010, Radecky became president and co-owner of FireCatt. Passionate about providing exceptional customer service and protecting our first responders, Radecky believes every process can be improved, employees deserve growth opportunities and the highest quality is a requirement, never an option. Radecky graduated from Michigan State University with a degree in communications and marketing. 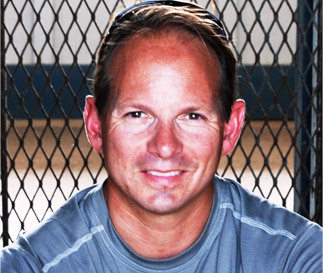 He plays an active role in coaching his children in soccer, mountain bike racing and alpine ski racing. Through his church, he enjoys serving others, participating in home remodeling projects, building urban gardens and delivering food baskets to those less fortunate in Detroit. He is married with two children.